items to draw energy from during a time of change and transition. and a journal to document our time in PA. I am SO blessed! 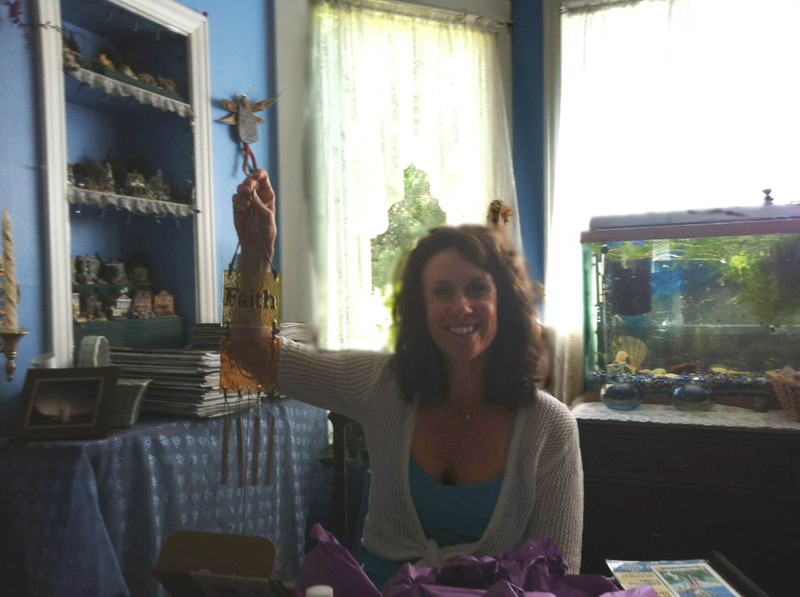 Last week marked the last time I'd be able to meet with my Intuition Through Tarot group (aka The Tarot Tarts) prior to moving back East. It was bittersweet. I was sad that this was our last face-to-face meeting ('til next year), but excited to continue to meet via Skype. Our Skype meetings will be my monthly connection with my life back home. 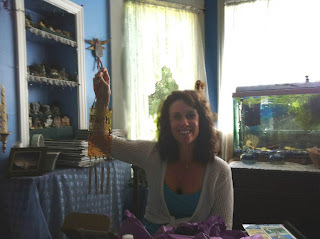 My life is blessed by this great group of women who are drawn together energetically to connect with each other and open up, each of us feeling comfortable to be our own unique, intuitive selves. 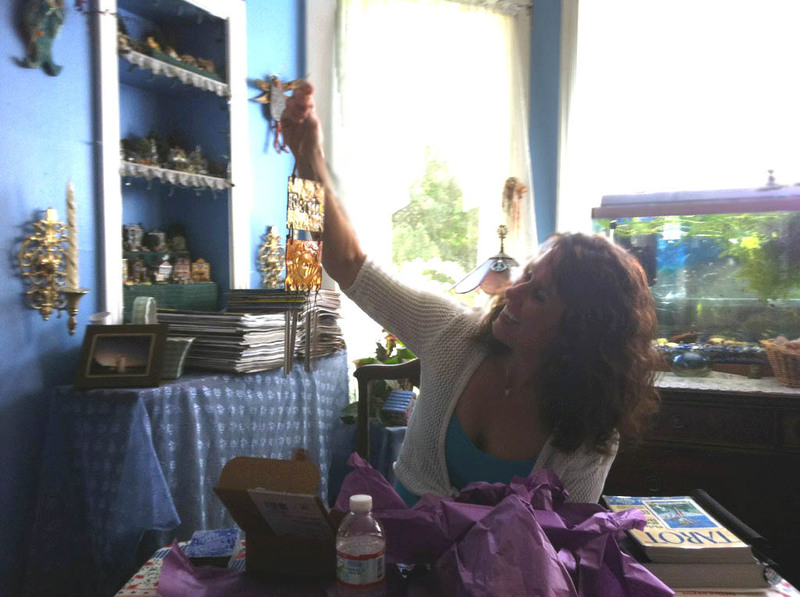 As I opened gifts from each of the dear Tarts, I could feel the energy in each gift, knowing that one of the Tarts specifically chose this special item to give to me to help me as I continue down my path. The thoughtfulness of each of the gifts was so apparent; the true beauty of giving not only the gift, but a piece of themselves to connect with my spirit. I was deeply touched. I'll miss our face-to-face meetings, the hugs as I arrive and leave, the way we select the tarot cards and interpret readings for ourselves and each other...but I know that some of this we can do virtually as well. Thank you my dear Tarts for so many things. It's hard to put it into words. But know that I appreciate everything you do for me all of the time, and for the special love and attention you have been supporting me with as I prepare to move. I know the Tarts will miss you as much as you will miss them. So wonderful that they gave you such thoughtful tokens of their love for you to carry each of them with you in a small way. Yay for Skype. I am planning to use it with you, too!